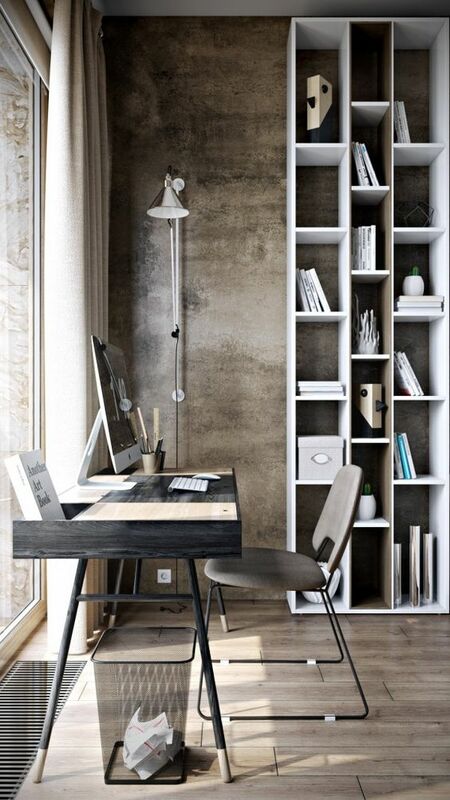 The importance of a well designed home office is becoming a big design movement. If we think back to the last home office trend, it was the small nook in the kitchen that became the biggest waste of valuable home real-estate ever conceived. No one wants to sit facing a wall at a desk barely large enough to fit a laptop. And home offices traditionally have been relegated to the basement or another dark and seldom used corner of the home. But that’s changing rapidly. With the advancement of technology and a greater ease to work from anywhere, we’re upgrading our home office experiences to fit the amount of time spent there each day. We are demanding of these home workspaces the kind of luxuries we could only dream of in the traditional office setting. Expansive windows, ample desk and workspace, a cozy sitting area for reading, maybe even some warmer touches with stylish lighting and bookcases. The home office has become a daily destination for many and a well designed space can have a huge impact on productivity. 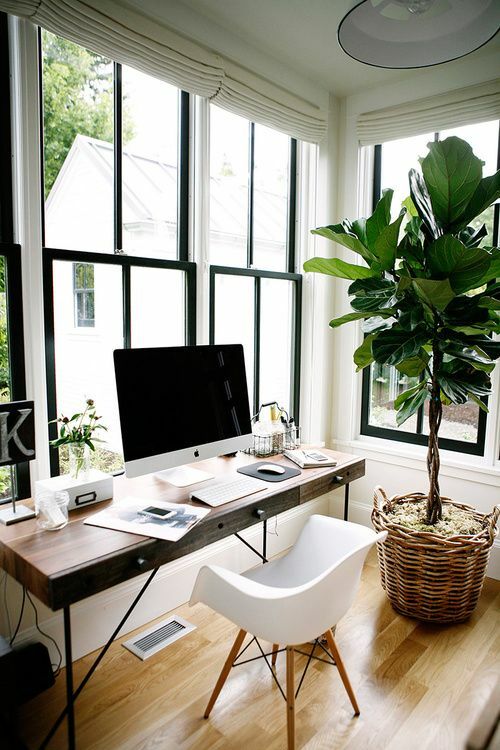 Below we present a few inspiring home office designs that we would love to spend our day in. Work is stressful enough at times, why not do it in an inspiring and relaxing environment. The simple color palette in this room lends nicely to a work environment. Painting out the bookcases in the gray really helps books and accessories there pop, also spreading out items and not filling every shelf helps to keep the shelves from looking overly cluttered and chaotic. The soft green pop of color in the rug is a perfect addition and the couch provides a great alternative location for reading and writing. And never underestimate the power of some good whiteboard skills. Working out your master plan requires this basic office fixture. 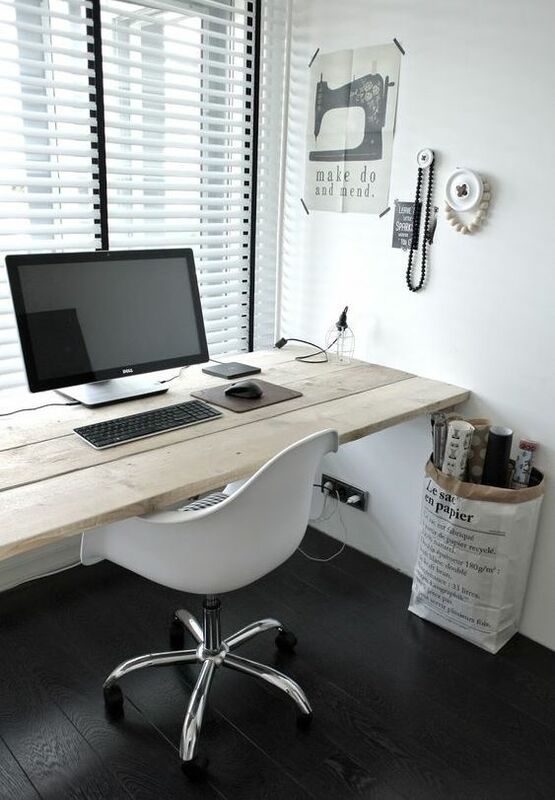 We love the simplicity, but also the eco-friendly idea that the desk brings along with it. If you have extra wood laying around, or perhaps are open to nabbing up some reclaimed wood from a reuse store or even a nearby dumpster, you can create this kind of custom desk in no time. In this office, it proves to be a great way to maximize desk space in a tighter space. Windows and plants, plants and windows. That’s about all one needs to know on a basic principle of a well designed work space. The two walls of windows here bring in ample light. If you are worried about glare on your computer screen, there are removeable films that you can get now that eliminate this problem. But don’t just stop at the expansive windows. Make sure you have something to look out onto. This is after all the room where you may take in the views more than any other living space so choose wisely. This home office proves that you don’t need a special dedicated room. 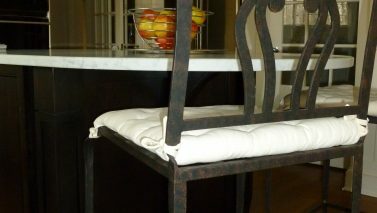 Sometimes an interesting nook in the home off of a main living space can work just as well. This antique desk is truly a statement piece. 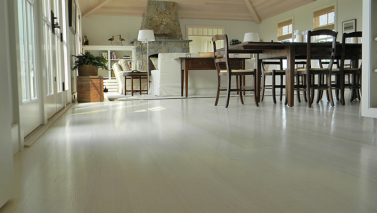 And on the other end of the spectrum are grand spaces that have been carved out for the distinct purpose of work. If you do work from home and are building new construction, consider carving out a great location and some extra square footage for officing. 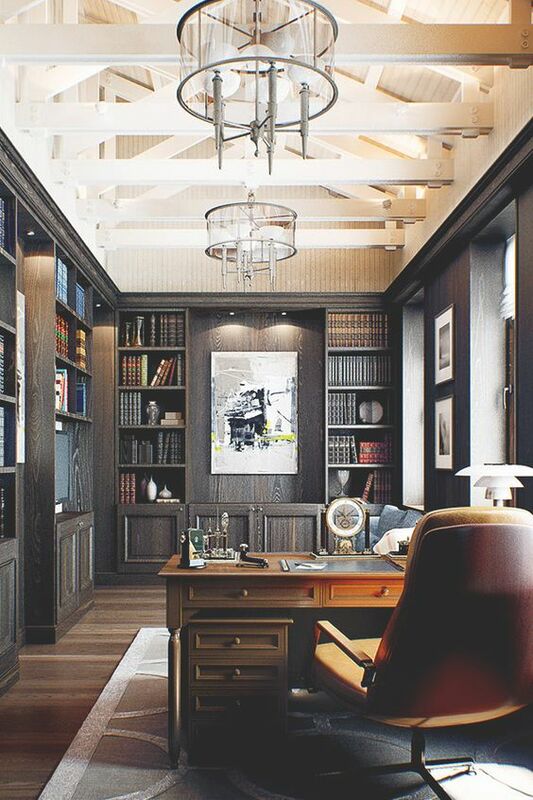 The office above would make a perfect work sanctuary and the elegant touches in how the ceiling was conceived make it extra unique and inspiring. We love how this home office is a clear expression of the occupants unique and distinguished design taste. Don’t be afraid to treat the walls with a bold texture, wallpaper or paint technique. We also love how the wall sconce serves as a moveable desk lamp that doesn’t occupy valuable space on the desk itself. And for our final point of inspiration, a home office we are just overly jealous of. This home office simply has it all, expansive windows, access to the outdoors, cozy sitting areas and lots of book cases. It’s just warm and inviting all around. So what plans do you have for your home office? Let us know in the comments below.